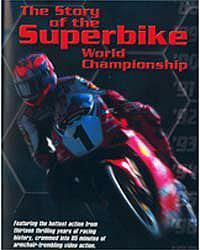 We’ve got 10 copies of The History of the Word Superbike Championship video to give away. All you have to do is send us your pictures from Brands Hatch World Superbikes, and the ones voted the best, by you, next week will win the videos donated by Lace Video. The top four snaps and one voter (picked at random) will earn a special copy, signed by Mr Carl Fogarty himself. We want to see the crowds, the babes, the boozing and the general mayhem that over 100,000 superbike fans generate. We want the shots that define the biggest day in British motorsport. E-mailed images only please, and the best will be published on the site as part of our Brands Hatch World Superbike coverage. The deadline for the competition is 10 o’clock Wednesday morning. Have you won Brands WSB tickets?